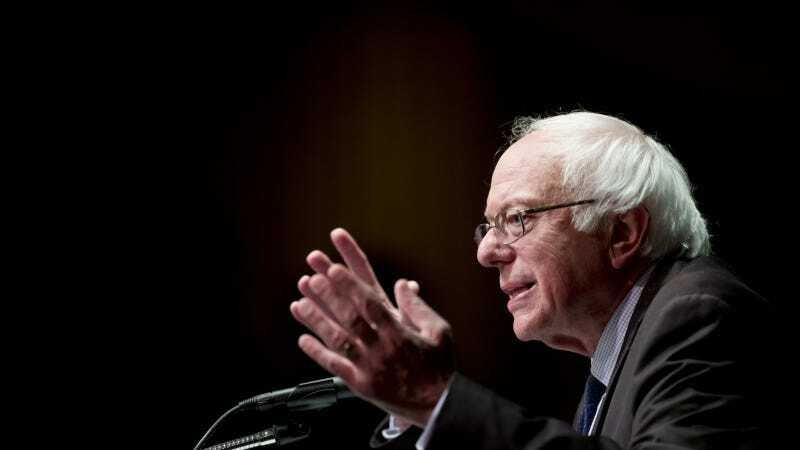 Pushed left by backers of Senator Bernie Sanders, Democratic leaders adopted a draft platform over the weekend that commits the party to a more aggressive stance on climate change—more aggressive, in some areas, than the positions of the party’s presumptive nominee. Appointees of Sanders and Hillary Clinton met in Orlando this weekend to hammer out the party’s policy goals in advance of the Democratic National Convention in Philadelphia later this month, where the platform will be formally adopted by delegates. The negotiating sessions went past midnight and were described by committee members as the most contentious in decades, due to Sanders’ stronger-than-expected showing in the primaries, which resulted in the party giving him unusual influence over the platform. The draft language agreed to Sunday morning includes an endorsement to support “every tool available to reduce emissions now,” which most significantly includes an endorsement for pricing carbon. “Democrats believe that carbon dioxide, methane and other greenhouse gases should be priced to reflect their negative externalities, and to accelerate the transition to a clean energy economy and help meet our climate goals,” the draft reads. A carbon tax was part of Sanders’ big push on climate policy during the primary race, while Clinton has resisted calling for anything that can be misconstrued as a tax hike in an election year. Putting a price on carbon isn’t controversial policy if you’re talking to an economist. But the Clinton has justified keeping its distance by saying climate change “is too important to wait for climate deniers in Congress to pass comprehensive climate legislation,” i.e., a carbon tax. Clinton will be sticking to that reasoning regardless of what the party platform says. “Her plan is clearly articulated on her website,” Clinton Energy Policy Adviser Trevor Houser said this weekend, according to the Associated Press. “It’s not her plan.” The campaign did not return a request for comment. That indicates the limited reach of the party platform. Although it’s designed to articulate the positions of the party as a whole, individual politicians—even the party’s standard-bearer—aren’t bound to it. But Sanders has indicated that one of his main goals is to push the party as a whole toward more dramatic action on issues like climate change, and the platform provides the best articulation yet of that direction. The draft platform hammered out over the weekend includes a few other small nods to Sanders’ climate positions. It marks the official death among Democrats of the once-popular talking point that natural gas can be “a bridge fuel” to renewables. The platform now pits clean energy against gas, by incentivizing wind, solar, and renewables over new natural gas-fired power plants. The draft also reflects a change in the left’s thinking reflecting in President Obama’s rejection of the Keystone XL pipeline last year, stating that Democrats should “ensure federal actions don’t ‘significantly exacerbate’ global warming” before supporting new infrastructure projects. Progressive Democrats hardly got everything they wanted, particularly on the Trans-Pacific Partnership trade deal, which Obama strongly supports over the objections of many environmentalists, and a nationwide ban on fracking. The platform committee settled on Clinton’s proposal to regulate fracking’s methane emissions and impact on water quality, instead of calling for the Sanders-preferred nationwide ban. Despite some mixed outcomes, Sanders feels he has won enough in the party’s platform to finally take himself out of the running for the Oval. He’s expected to endorse Clinton on Tuesday.